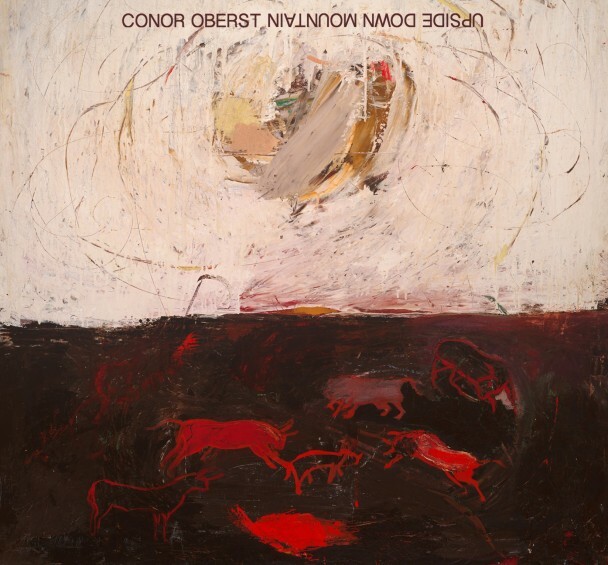 Conor Oberst, once (and possibly still?) frontman of seminal Omaha band Bright Eyes/less-seminal-but-still-wonderful Desaparecidos/not-seminal-but-still-very-fun Monsters of Folk, isn’t saying much about the future of his day job (The People’s Key, the band’s fantastic 2011 record, was rumored to be the band’s final album), but he’s keeping himself busy. He’s about to start a nice little month-long jaunt through the heart of America, promoting his newest solo effort, Upside Down Mountain (out now on Nonesuch), and will be dropping by the Crystal Ballroom at the tail end of things, on October 1st, with support by his friend/producer Jonathan Wilson. This will be Oberst’s first show in Portland since Bright Eyes stopped by the same venue to put on a stellar, hilariously rowdy show in support of the last (and maybe final?) Bright Eyes record, the aforementioned The People’s Key, though to be honest, it’s hard to not envy those attending the last show on the tour, co-headlined by none other than John Prine. Jealousy aside, Oberst is one hell of a performer, and this one shouldn’t be missed. Click right here to get tickets to this performance and find out more, and click the jump to have a look at Oberst’s upcoming tour dates as well.